A wheelchair accessible place that aims to make the guest’s stay as comfortable as possible. New Rainbow Business Hotel is a pleasant hotel with a tastefully decorated interior and a warm and inviting ambience. 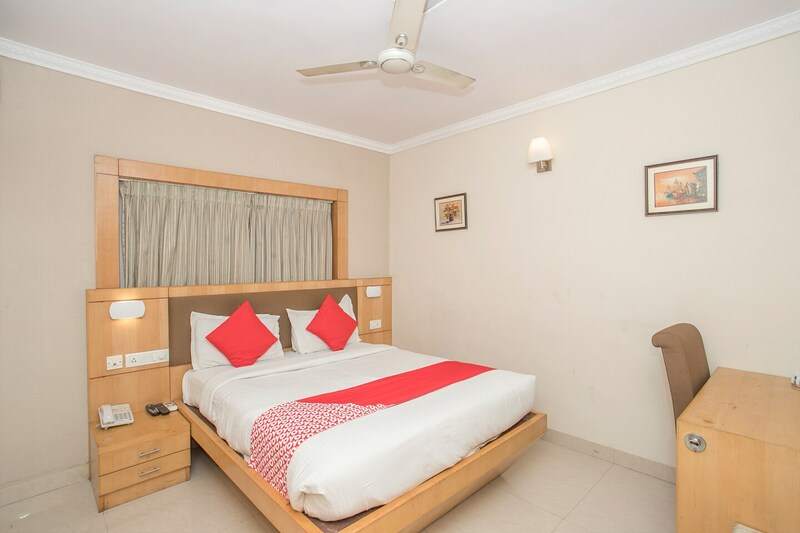 The bedrooms at the hotel have light colored walls and dark wood furnishings with several paintings adorning the walls, keeping the ambience of the rooms light and cheerful. A conference room and a banquet hall are present at the hotel that the guests can make use of during their stay. The free Wi-Fi and power backup offered by the hotel ensure that the guests can stay in contact with the rest of the social world. Other amenities provided by the hotel are a geyser, a hair dryer, an elevator, wheelchair accessibility, laundry and parking facilities and a card payment option.